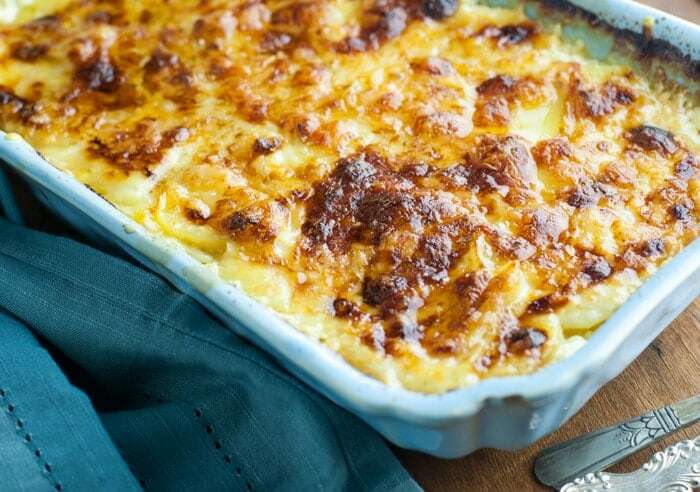 I cursed when I first tasted these cheesy scalloped potatoes. Cursed so hard, dudes. Because blankety-blank they are that good. It was Oscar night. I remember it like it was 2 nights ago. There were flavorful dips. There were salamis. There were cheeses to taste, compare, and contrast and then feel all smart and snobby about it. And then…these potatoes. They won Best Scalloped Potatoes, beating out Sylvester Stallone, and I feel really bad about that. The band started playing over my acceptance speech just as I was about to thank Fontina cheese, Gruyère cheeses (both mild and medium), Parmesan Reggiano, and my good friend, garlic. I couldn’t have done it without you. It’s all about the layering. It’s all about the love. Wait, it can be both, right? I don’t have pictures of the cheese layering process because, being Oscar night, I had other things to do, like make sure my lip gloss was properly applied. You’re going to melt some butter, grate some cheese, slice up some potatahhs, and you’ll be blissfully cursing in no time. The butter won’t seem like enough when you’re drizzling it over the layers of potatoes and cheese, but don’t freak out. Everything’s going to be okay. 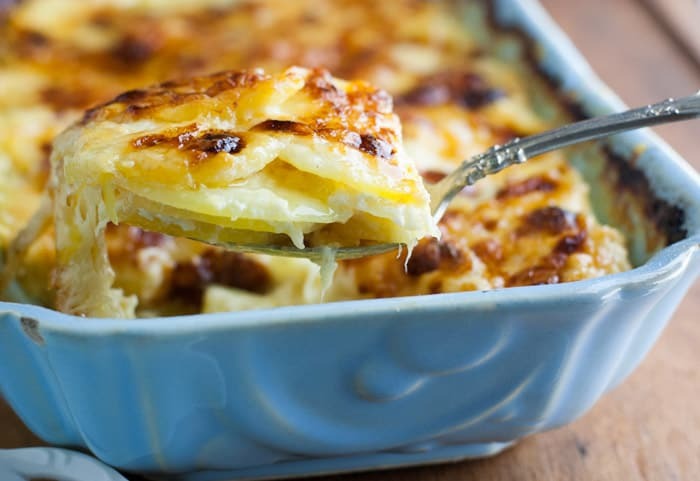 These cheesy scalloped potatoes will kill you. Not literally, but close, because you’ll be in HEAVen. You’ll be like “Oh shoot I haven’t written my will yet!” but you won’t care because these potatoes are the perfect comfort food. They’re little cheesy stress relievers. 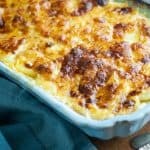 If you do prepare a will in advance (you go-getter you) don’t leave this scalloped potatoes recipe to a loved one because then those people will eat them and die from happiness. It will be a vicious cycle. These potatoes could be your last supper. And you’re ok with that. Step 1: Layer an even layer of sliced potatoes on the bottom of dish, slightly overlapping the edges of the potatoes. Sprinkle a little salt and pepper on top. Sprinkle a good handful of mild Gruyere cheese over top. Then a small handful of the medium Gruyere cheese, if using. Then sprinkle a handful of Fontina cheese on top. Repeat Steps 1 and 2 again until your baking dish is filled. Do not fill baking dish higher than top of rim. 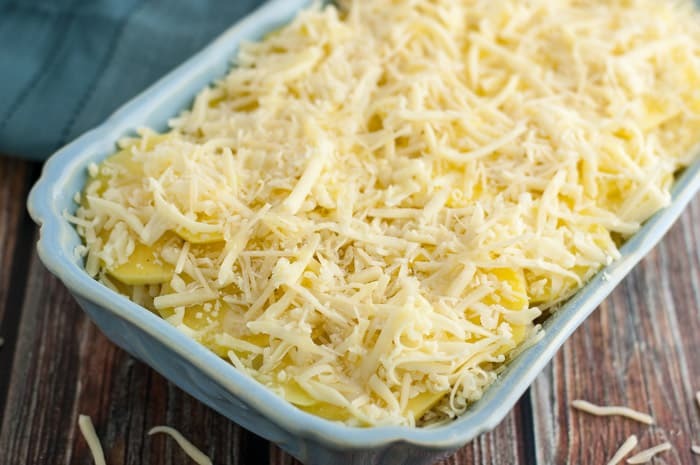 When you’ve finished your layers, sprinkle some Parmesan Reggiano over the top. In a small saucepan, bring the milk to a simmer. Stir occasionally. You should see some steam coming off the top. Remove from heat and add minced garlic to milk and stir. Pour hot milk over potatoes. Bake at 425° for 40 minutes, or until golden brown on top. 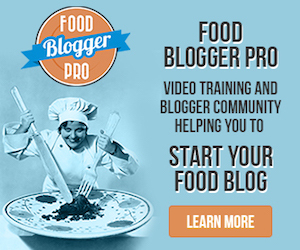 Another GREAT looking recipe to try! Thanks for that! Sounds like your Oscar night celebration was a hit! Thanks – I guarantee you’ll like it! Hi Marie. Honestly, I haven’t tried to freeze them. I just did a quick Google search and some people have been unsuccessful freezing scalloped potatoes, saying they turned gray and mushy. Definitely don’t freeze the dish when it’s raw. Cook them first for best results. But like I said, I haven’t tried it with this particular dish. Good luck!